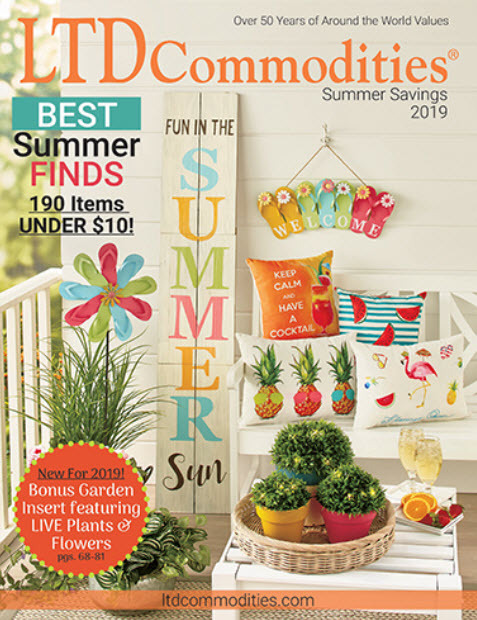 We are all spending a lot of time indoors and that means we need ways to stay cozy and busy between our brief trips into the cold and two feet of snow for necessities. We put together a list of items we think you’ll find useful for long winter days spent inside. Here are this week’s Items We Adore: Product Picks for the Week. The Soft Plush Cat Cuddle Bed provides luxurious comfort for your pet. This deep bed with raised sides keeps your beloved feline warm and cozy. 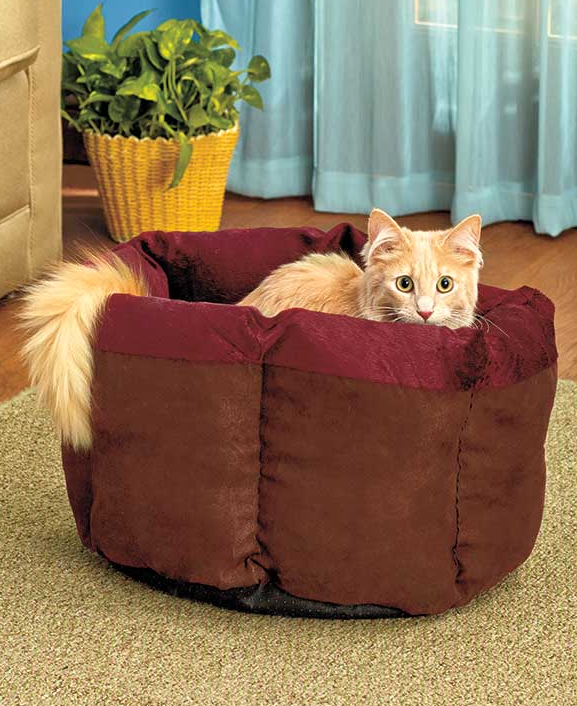 Cushioned on the bottom and sides for extra softness, it invites your cat to curl up and rest. 18″ dia. x 11″H. Polyester and polyfill. Machine care. Imported. Incredibly soft and comfortable, this 50″ x 60″ Plush Micro-Velvet Throw is a great gift everyone will enjoy. 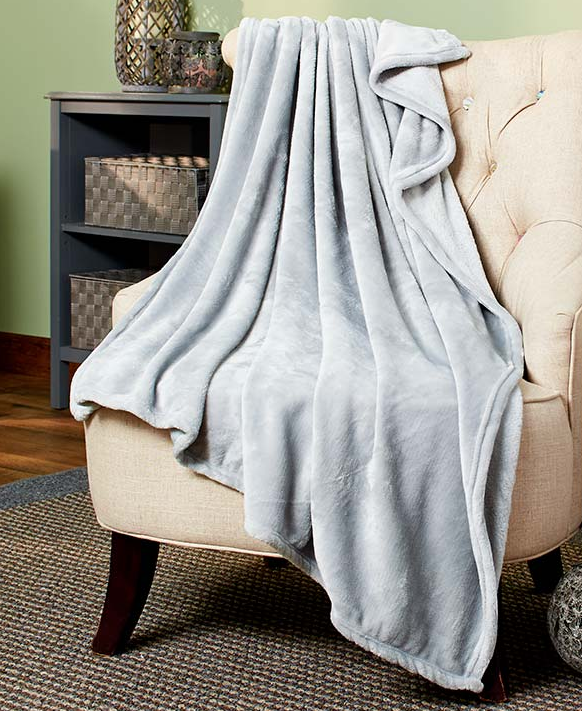 The luxurious throw adds an extra layer of warmth to wherever you’re lounging. Its silky feel makes it even cozier. Polyester. Machine care. Imported. 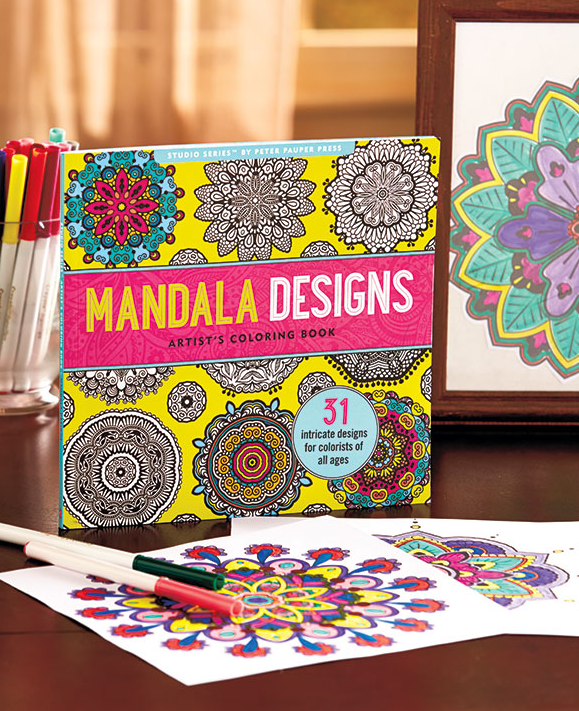 The plain, complex outlines give you the freedom to creatively add color and bring the images in this Intricate Designs Coloring Book to life. It features 31 intricate designs on acid-free, art-grade paper. Each page is micro-perforated for easy tearing and sharing. 9-3/8″W x 9″L. Softcover, 64 pages. Dress your baby fashionably at a value price! Infant’s 3-Pc. 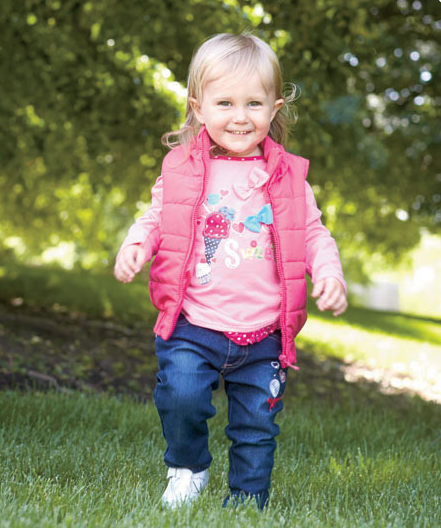 Vest and Jeans Outfit offers a similar look for boys and girls. The Boys’ outfit has a screen-printed T-shirt and a puffy vest and jeans, both with embroidered accents. The Girls’ outfit has appliques, embroidery on the back pocket and rhinestone embellishments on the T-shirt and jeans, along with a puffy vest. All the jeans have an elastic back, button fly and 2 back pockets. T-shirts and jeans, cotton and polyester. Vests, polyester. Machine care. Imported. Show your team spirit with an officially licensed NFL Reversible Infinity Scarf. This reversible scarf features both team colors, one on each side. Prominently adorning each side is a bold square patch of the team name and logo. 6″W x 35-1/2″L. Acrylic. Imported.